If you treat a book like an investment this is a good choice both in terms of money and time. Groovy differs from another JVM languages which try to compete with Java like Scala. Groovy approach is quite different. It is not replacement, it fulfils shortages and makes cumbersome stuff in Java code straightforward. If you have a background in other languages like Python, Ruby, Perl. Java could sometimes be source of frustration. If you came up with thought I would like to write this in one aforementioned languages and you have to unfortunately write in Java, Groovy is answer for your desire. Groovy takes best from said languages. The same in case of some common tasks like parsing or creating xml you have to write a lot of boilerplate code in Java. Next example, if functional programming made impression on you, for example dealing with collections in Scala, Groovy gives you similar capabilities. And syntax in Groovy is much more natural. First I have to mention that before I’ve read Making Java Groovy, I read Groovy in Action second edition, which is great and will be available from Manning very soon. 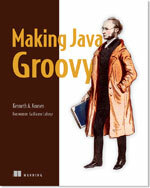 I read early version so called MEAP and when I noticed Making Java Groovy my first thought was hmm, yet another Groovy book. But I started to read it. It appeared that this book is much different than GiA. While GiA is great Groovy reference and manual, Making Java Groovy is different. If you are experienced Java developer who is seeking how to make your life easier, write less code and be more efficient and you don’t afraid to learn new stuff. This book is for you. Ken Kousen did a good job. I think that his style of writing was inspired with his lecturer and couch experience. So topics are light, you got a lot of simple but real life and useful examples. Language is not dry and monotonous. Author has good sense of humour. Everything is in order not to make reader bored or reluctant. He doesn’t explain every detail of so called Groovy magic but gives a reader taste what she/he can obtain from it. So for instance he mentioned few of AST transformations and if you feel a power of it for sure you would like to read GiA. Book is quite good introduction to Groovy basics. PART 1 shows groovy basics in concise manner. I think it could be kind of eye opener for average Java developer with typical examples like dealing with XML, json, constructing URLs using closures. That can be done in concise and elegant form and still it can be integral part of Java project. PART2 shows 2 typical fields in which Groovy beats everything else. Namely Unit Testing and building project. Throughout whole book author uses Gradle to build project which is far modern alternative to Maven and Ant. Moreover he uses frequently powerful BDD testing tool Spock. My favourite part of book is PART 3: GROOVY IN THE REAL WORLD. Among others it explains how Groovy can make Spring developer life easier. It clearly shows real life examples that without using a lot of boilerplate code, reflection and substantial effort as in case of pure Java, you can get from Spring much more writing clear and simple code. If you read this book I’m sure that you will start to write some parts of your code in Groovy and become much more productive. And this is what Groovy was design for, to fulfil lacks of Java, and add convenience tools for agile developer. This entry was posted in Groovy, Java and tagged Groovy Java book review, Java, Making Java Groovy on October 20, 2013 by Zbigniew Sokolowski. When we implement a class there is frequently need to obtain class name which we currently develop. 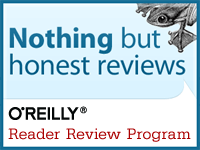 This is especially true when we implementing logging. The result as we see is that we need to every time on every class which is supposed to do logging enter a class name. This entry was posted in Java, Java 7 and tagged class name, Java, method handles on August 2, 2013 by Zbigniew Sokolowski. Some of us come to Java from scripting languages like Python, Ruby or Perl. Another case, Scala new modern JVM language has recently been becoming more and more popular. It’s target is to be Java replacement. Frequently I have heard when developers say: have you seen what it can do with collections? this is much more concise language than Java, and it supports Actors model which simplifies dealing with concurrency. This is awesome! But there are some disadvantages Scala is quite demanding, difficult to learn, the learning curve is pretty steep. Moreover there are problems with dependencies, you have to stick to a certain version. The language is so difficult that also frequently I hear from Java developers, Scala yes, I tried it, but I gave up it was too difficult. Now comes Groovy modern dynamic JVM language which was not designed like Scala to be a Java replacement but to be Java Companion. That makes a world of difference. Groovy also is not a Scala competitor. It fulfils places where Java lacks and makes possible easy scripting, and rapid development feasible. The learning curve is not very steep, at the beginning just change java file extension to groovy and that is all. Compared to Java Groovy the amount of boilerplate code has been minimised as possible. You don’t need to write a semicolon at the end of every line. In Java you have to write getters/setters. Of course modern IDE could generate it for you, but it clutters the code. In Groovy those are generated at bytecode level, you don’t have to write them manually. Groovy contain many things which we miss in Java, like easy building and parsing xml, json. A feature which already contains Scala and will be the most important change in Java 8, lambdas called another way closures. Closures are something like a pointer to method and they are first class Groovy citizens. Closure can be defined as method put between braces and then for instance passed as method argument. They can be called lazily. Closures makes working with collection very straightforward. This small code snippet shows the power of Groovy. The first list is Java ArrayList but created and initialized with the smaller amount of code. Then method collect which iterates over whole collection calling closure on every item. Closure is between braces, it means the current collection element so this code iterates over ArrayList and calls method toUpperCase() on every element. Simple, powerful, elegant. Groovy provides means like scripting language to deal easily with files: creating, transforming, traversing directory structure. It makes templating a very easy task. Even running and chaining external processes are natural to code. Groovy is dynamic. It means that types are inferred from context. Thanks to def keyword, flow typing is possible it means that you can change a type of variable just by assigning other type. Dynamic also means that you could any behaviour of class in runtime. Due to fact that methods and variables are called indirectly through so-called Meta Object Protocol you can add, change methods and properties to class, even in the runtime. For instance Groovy 2.1.3 adds 250 methods to well-known Java String class, and you could add them more and they can do whatever you can imagine. Of course nothing is for free so this dynamic behaviour has two drawbacks. First is that errors are seen at runtime, second is performance penalty. First one doesn’t create such a huge problem because modern IDE like my favourite IntelliJ Idea, helps a lot just by syntax colouring. If it is not enough, special annotations could change Groovy behaviour. Namely @TypeCheck and @CompileStatic. The former forces Groovy to check variable, method names and returned types so it eliminates typos, and forces code to be consistently written. But there is always a cost, this time you we lose power of meta programming i.e. features like adding methods in runtime. Code generated this way although statically checked will be the same as dynamically checked. Only compiler became grumpy. Program performance will be the same as in pure dynamic mode. If you need performance similar to Java and you use older than Java 7, second annotation apart from statically type checking causes Groovy to produce static code. Code generated this way will be similar to produced by Java. Although you still benefit from more concise source code. For newer Java there is one more alternative. Java 7 introduced new bytecode instruction called invokeDynamic. This changes rule of game, because up to Java 7, code was called or by reflection or proxy classes. Even using so-called cache-site which accelerates performance, results are substantially worse (slower) than Java. Nowadays thanks to method handles and invokeDynamic which calls special method stub which in turn calls destination method whole process is much faster. This functionality will be heavily used in Java 8. Yes, Java 8 will be much more dynamic than predecessors. Dynamic nature of Groovy gives us completely new opportunities to create software, new excellent tools, and gives us something what is so-called “Groovy magic”. I strongly encourage you to get acquainted with that magic. And many others, Groovy became second language for Spring framework. This entry was posted in Groovy and tagged Groovy, Java, Scala on May 25, 2013 by Zbigniew Sokolowski.